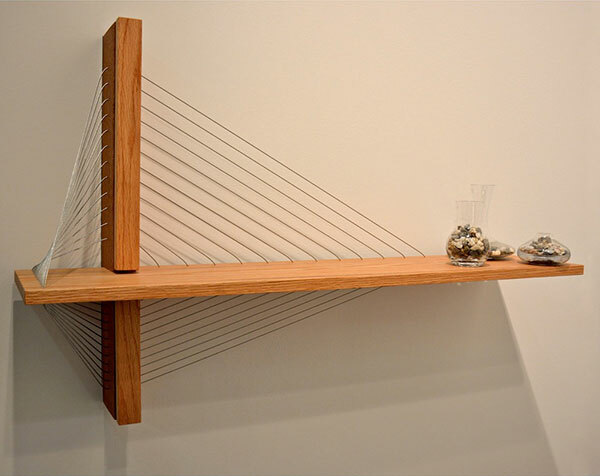 A wall shelf inspired by the design of a suspension bridge by Robby Cuthbert. 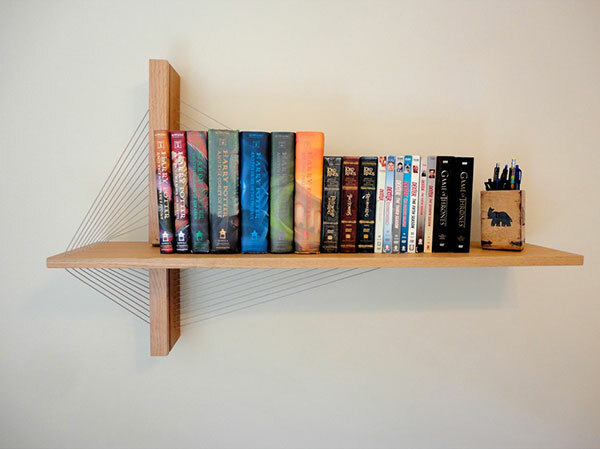 The sculptural piece, made of mahogany and red oak, is cantilevered with steel cables that bear the load of books and other items creating a totally stable system. I’m not an engineer so the best way I can think of to test weight limit is by just loading the pieces up with a bunch of weight. I sat on the coffee table to test it’s strength and I loaded the shelf up with as many textbooks as would fit (around 65 lbs). 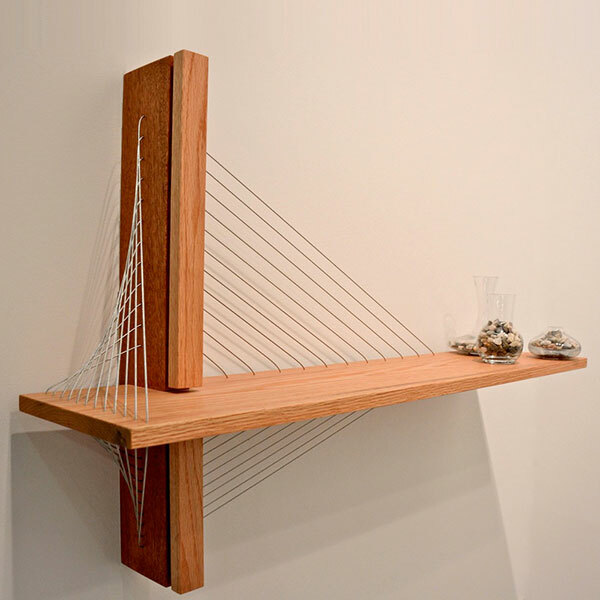 Neither of them had a problem, but I do put a weight limit on the pieces that’s significantly less than what I’ve seen them support, just to account for anything weird happening. Also, the cable I use has a 500 lb break strength and I’m hoping no one would ever put that much weight on anything! 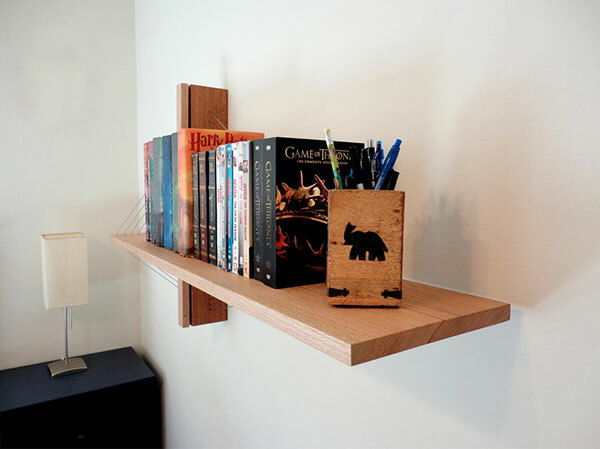 I think the wood would go before the cables.